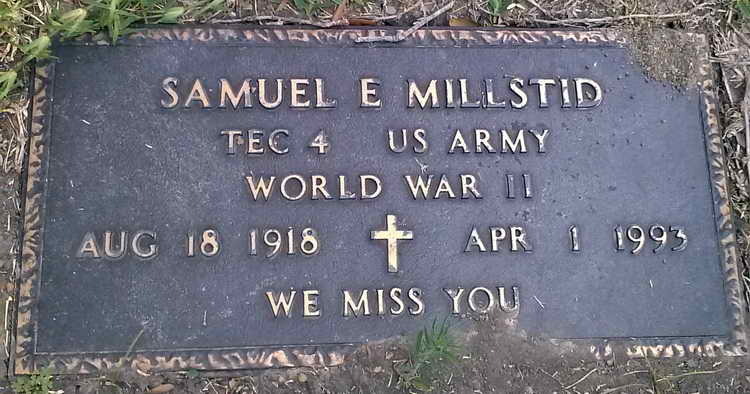 Grave marker for Samuel E. Millstid in the Forest Park East Cemetery, Webster (Harris county), Texas. Samuel enlisted in the Army at at Houston, TX on 21 April 1942 and at some point was assigned to Hq Hq, 508th PIR. On 20 October 1945 T5 Millstid was transferred to the 505th PIR.